Urooj Arshad is the Associate director of International Youth Health and Rights at Advocates for Youth. She manages a project of the International Division that builds the capacity of youth-driven organizations in Africa, Asia, Latin America, and the Caribbean to empower young people as strong advocates within their own countries and at international forums on reproductive and sexual health and rights of youth, especially young women and LGBTQ youth. She has also designed a project that seeks to address the reproductive and sexual health needs of Muslim-identified youth. Previously, Urooj provided capacity-building services to community-based organizations working with youth of color around reproductive and sexual health. Urooj has presented about her work at several domestic and international conferences, including the International HIV/AIDS Conference 2010 in Vienna, Austria; the Youth Pre-conference to the International HIV/AIDS Conference 2012 in Washington, DC; the European Science Foundation’s conference on Religion, Gender and Human Rights 2011 in Linkoping, Sweden; the LGBT Pride and Heritage Event hosted by the White House Office of Public Engagement and the White House Initiative on Asian Americans and Pacific Islanders; the State Department; the National Press Club; Georgetown University and Princeton. Urooj was also the keynote speaker at the LGBTQ Symposium 2013 at American University. Urooj has had sixteen years of experience organizing within LGBTQ communities of color, especially addressing issues of Islamophobia, violence, sexism, transphobia, and ageism. She is a steering committee member of the Muslim Alliance for Sexual and Gender Diversity (MASGD) which seeks to address the intersectional impact of Islamophobia, homophobia, and transphobia. 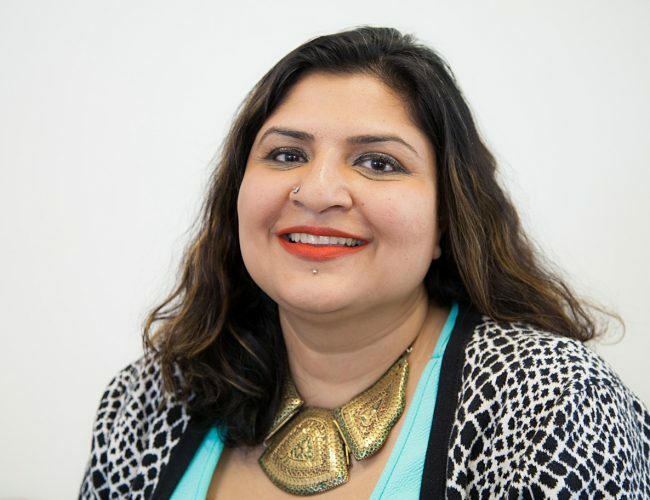 Urooj has been a member of the Center for American Progress’ Women’s Health Leadership Network and its Faith and Reproductive Justice Institute. Urooj has been a fellow with the American Muslim Civic Leadership Institute and a current member of the Kalamazoo College Arcus Center for Social Justice Leadership Global Advisory Board. Urooj is the recipient of several awards including the National Queer Asian Pacific Islander Alliance’s 2012 NQAPIA Community Catalyst Award and the Young Women of Color HIV/AIDS Coalition’s We Speak award. Urooj was selected to serve on the U.S delegation to the 59th Session of the United Nations Commission on the Status of Women.